I know it’s corny, but this recipe is a-maize-ing! Preheat the oven to 400°F and oil a 10- or 12- inch cast iron skillet (a baking pan also works fine)l. Warm over low heat while you make the batter. This helps set the bread and keeps it from sticking to the pan. Combine all the cornmeal, sugar, flour, baking powder, and salt. Whisk together the 1/2 cup oil, eggs, and milk. 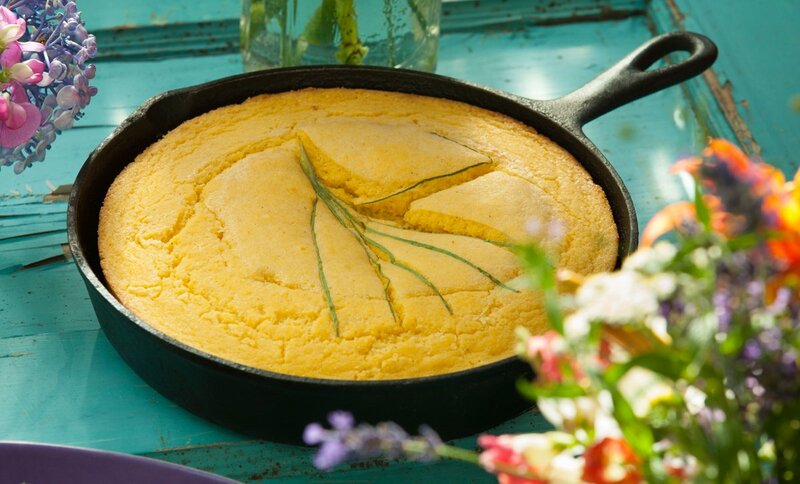 Stir the wet ingredients into the dry until just combined – overmixing can result in dense cornbread. Pout the batter into the skillet (it should be about 3/4 full) and bake until cooked through, about 30 minutes. Touch the center of the bread, it should spring back. Wanna change it up? How about adding some fresh corn or chopping up some jalapeño pepper and tossing those into the mix, maybe scatter the top of the batter with chopped or sliced scallions before baking? Serve warm with plenty of butter for slathering! It’s also lovely to do these in mini muffin tins. Just spray a tin with olive oil spray, pour in the batter and bake for only about 5 minutes – they cook real fast. How ’bout breakfast in bed for your Valentine – a poached egg on top of a slice of cornbread? 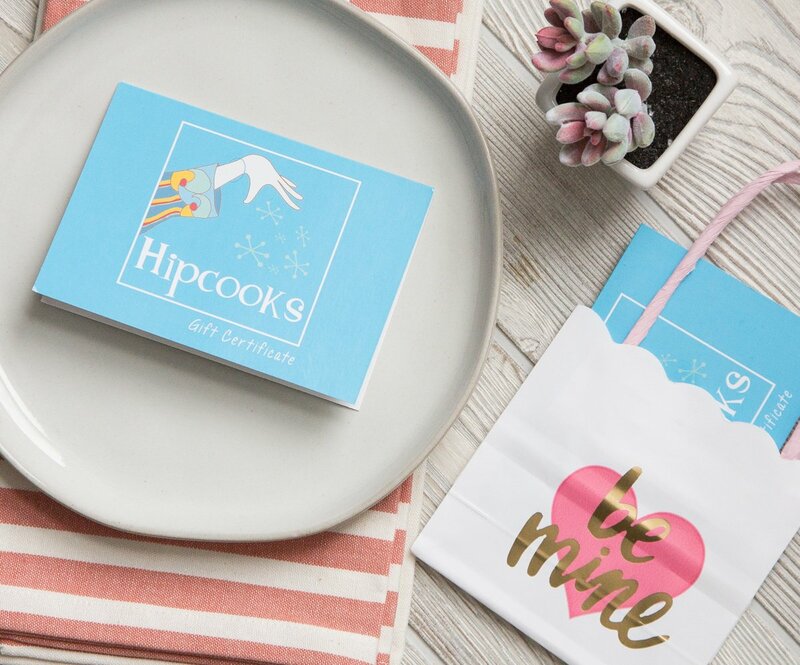 Set the tray with a Hipcooks Gift Certificate and hit a home run.